A Canadian working in the US is facing deportation. 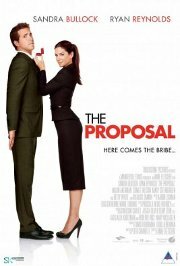 In desperation to avoid losing her job, she claims to be engaged to her meek assistant. He agrees to the charade, but has some conditions... one of which is a trip to his home in Alaska to meet his parents. She reluctantly says yes... and they head off into the cold... where hearts soon warm the chilly atmosphere.